Sunburn affects a horse in much the same way it affects a human. When a horse spends too much time unprotected in the sun, the skin becomes inflamed and the horse experiences pain, discomfort, drying and cracking of the skin, blistering, and possible loss of hair in the affected areas. The face, especially the muzzle and around the eyes, gets quite badly sunburned when not protected. The correlation between sunburn and liver damage makes it important to check with a veterinarian in cases of severe sunburn. Spending too much time in the sun without protective coverings or sun block will cause a horse to sunburn. In addition, horses on some medications, such as tetracyclines, or with certain diseases, become photosensitive and are more likely to suffer from sunburn. Limiting time spent in full sun is the best prevention. Realizing that on cloudy days, as well as during the spring and fall months, too much time spent outdoors without shade protection can still lead to sunburn is important. The use of sun block products, particularly those with zinc oxide, on the horse's face and other areas that sunburn easily is helpful. Some veterinarians recommend sun blocks that are brightly colored because it becomes more obvious when they begin to wear off and need to be reapplied. Many shampoos, coat conditioners, and some fly sprays also provide sun protection. Use of fly masks, a sunscreen-soaked fly sheet, or other protective covering will help reduce the risk of sunburn, as will keeping the horse in a well-ventilated shed or stall during the mid-day period. Treatment for sunburn begins with making the horse comfortable and reducing the inflammation and pain of the sunburn. Providing plenty of water and roughage during the recuperation period will help, both with comfort and with healing. 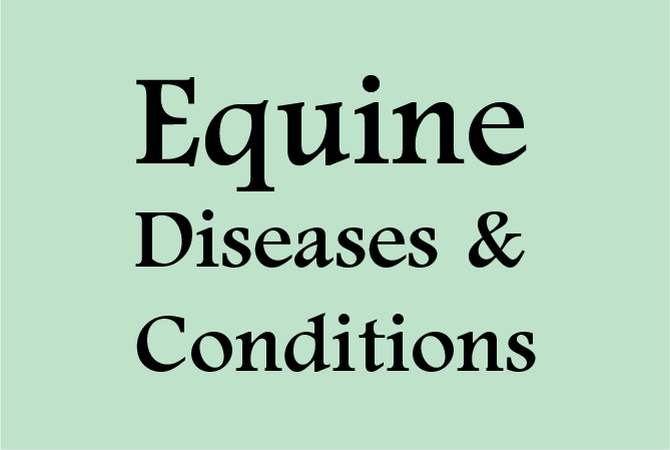 Some horse handlers suggest rubbing diluted vitamin E oil on the burnt skin or gently applying apple cider vinegar to sunburned areas, but in cases of severe sunburn, a veterinarian should be consulted before anything is applied. In addition, the horse should be observed carefully for signs of trouble that extend beyond the skin and that might affect the health of the horse.